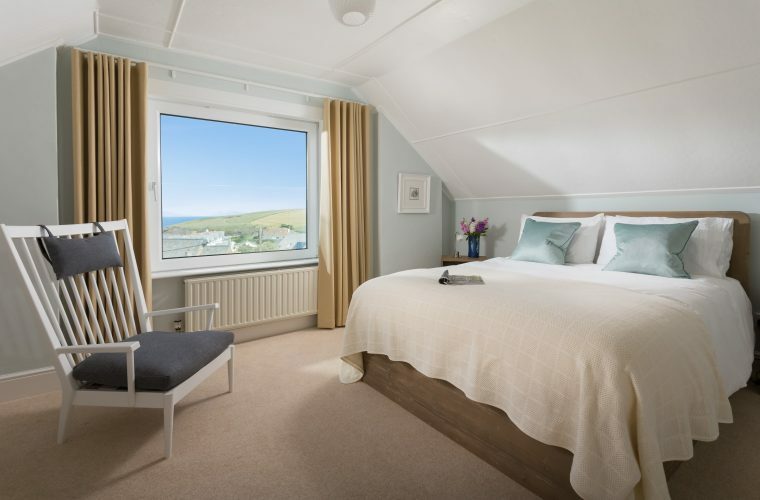 Casa Vista is a five-bed family holiday home with sweeping sea views over Trevone Bay. The client initially approached Tracey to choose curtains, blinds and interior colour schemes. As the design of each room developed, the client agreed to work with Tracey on purchasing additional items for the property. The client wanted to use the property as a holiday let and a place to escape for family holidays. Tracey’s focus was to make the space feel welcoming. Tracey took inspiration from the coastal landscape, using grey, blue, and teal tones. The client loved the coastal theme, especially the wool pebble floor cushions from Rural Urban. Tracey also introduced some local artwork in the property. Large inspiration prints were purchased from Whistlefish, while beautiful fused glass artwork was purchased from Dreya Bennett. 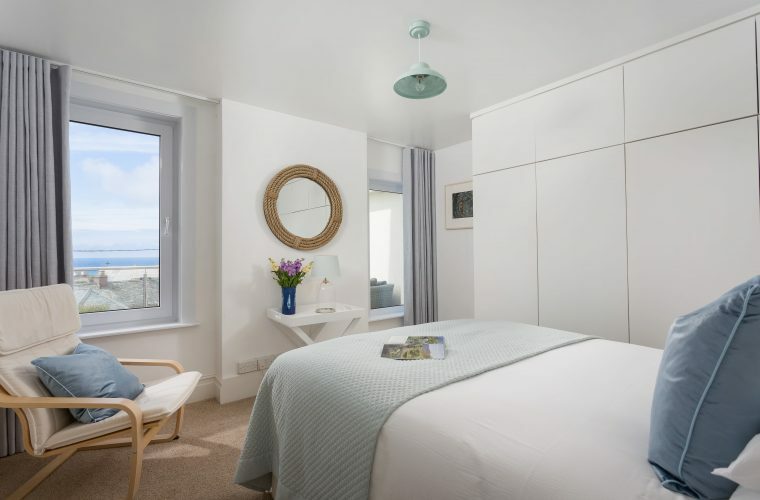 The artwork pulls together Tracey’s coastal interior design, creating a space which feels spacious yet comfortable. Feeling inspired by coastal interior design? 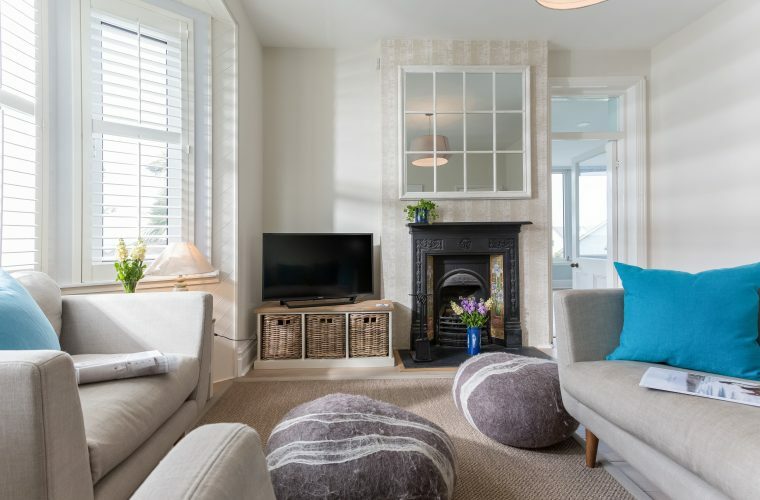 See how you can give your home that beach-side feel by reading Tracey’s interiors advice. Buying our second home in Cornwall was a daunting venture. Something we had never done before and we wanted to ensure that it was a house which was a home as well as a viable rental property that would appeal to others. We have little spare time and definitely lack creative flair! A colleague recommended Tracey and it was best decision we have ever made. Not only was Tracey a pleasure to work with but her ideas were so thoughtful, in keeping with our style, budget and approach and very quickly our house came together into a property that met every objective. There is no doubt in our minds that Tracey’s work has directly resulted in our house being able to be marketed at a far higher rental income that was ever forecast when we made the original purchase. She was flexible, happy to work with anyone, very responsive, spent time going through everything with us and very quickly we trusted her recommendations and advice so much that we rarely ever had to think twice before agreeing straight away. Nothing was too much trouble even if it strayed out of technically an interior design role! 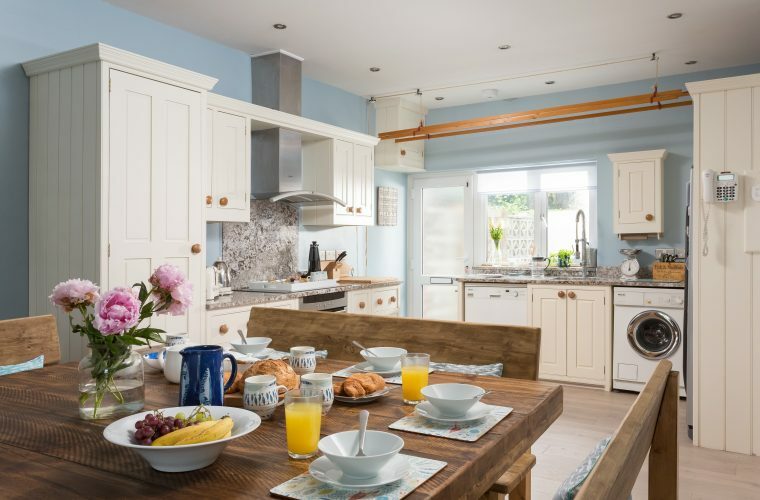 Everyone who has seen our new home comments on the amazing design, the quality of the furnishings, the original ideas and the overall coordination throughout the house in a theme and style that fits with not only the property but the local area too. I only wish that Tracey lived closer to us at home so that she could redesign our house here as well!